Another mechanical shark. Though this one is supposedly “inspired” by aircraft parts. Fortunately I have a slight interest in combat aircraft, so I do have a few reference books lying around. I blame all those flight sims and air combat games I played in the 1990s. 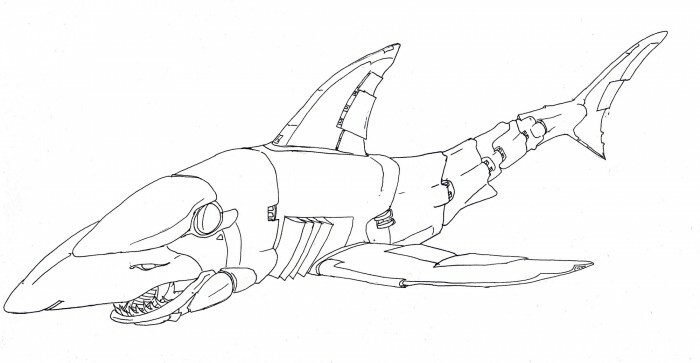 This entry was posted in Scanned Desksketch and tagged mech, shark by Anthony. Bookmark the permalink.